Subscription Form - How to from MailPoet on Vimeo (Warning: this video doesn't contain audio). Subscription Form - Widget from MailPoet on Vimeo (Warning: this video doesn't contain audio). 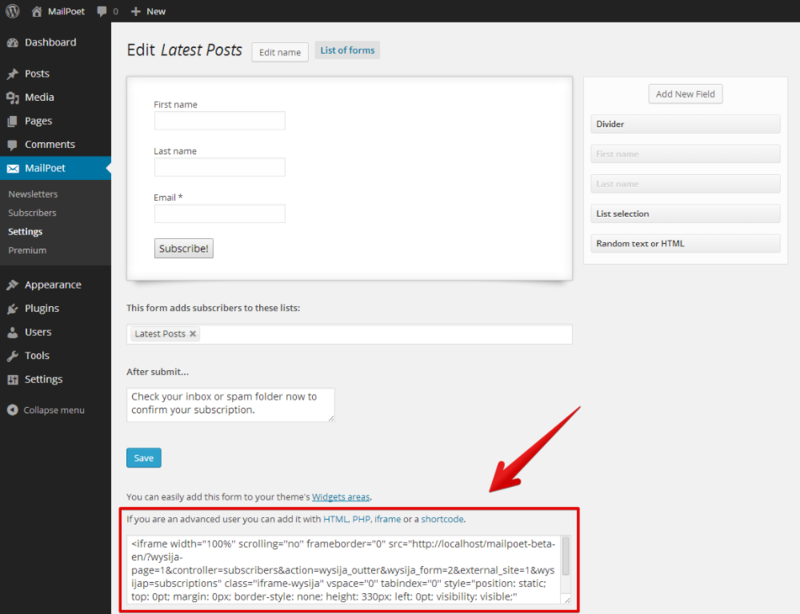 Subscription Form - Shortcode from MailPoet on Vimeo (Warning: this video doesn't contain audio). Subscription Form - iframe from MailPoet on Vimeo (Warning: this video doesn't contain audio). Subscription form - Styling the iframe from MailPoet on Vimeo (Warning: this video doesn't contain audio). Subscription Form - Popup from MailPoet on Vimeo (Warning: this video doesn't contain audio). Popups or “lightboxes” with an opt-in form are a popular method of increasing subscribers. You can use the shortcode, iframe, html or php versions of your subscription form to include them in your favorite popup / lightbox / opt-in plugin. Let us know which plugins you use, so we can share them with the community. It’s pretty easy to support MailPoet. 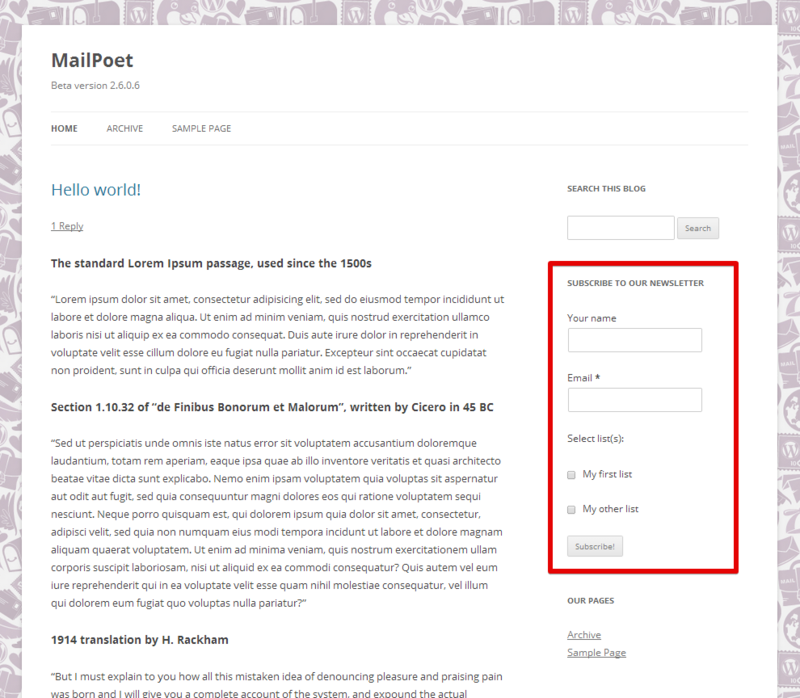 Plugins authors can create custom forms for MailPoet with this sample code.